You are here: Home / Saving Tips / Why Do Retailers Offer Rebates? I personally think that having a lower price is a better deal, but sometimes retailers have rebates offers that give huge discounts. 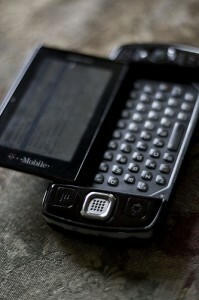 One popular item you can save big on (through taking advantage of the rebate) is your cell phone. You can be surprised at how much they’re willing to knock down the price. Of course, retailers don’t give away money for no reason. Most people are too busy (or lazy) to complete the rebate forms. Get way to get customers to buy a particular phone. Most of the time we’re on top of rebates, but we dropped the ball years ago on some phones we got through Cingular. It’s a wonderful way to get information on the demographics of their customers. Most times when you send in the rebate form, you also have to fill out and share some data about yourself. If you’re willing to put in the effort, you can maximize your return on rebates. Read the rebate conditions. See if you will get actual money back or a coupon for another of their products. It still happens time to time. You also ant to see how much paperwork is due. Is it simply mailing a form out with receipt or does it involve more legwork? Send the rebate through certified mail or get a delivery confirmation. You don’t want to do the process more than once; it’s time consuming and you may be past the deadline by the time you get around to it a second time. Having delivery confirmation proves that they did receive the paperwork. Lynnae at Being Frugal takes great advantage of rebate programs from Walgreens and Rite-Aid. Her tactic involves being organized and only buying what she needs. I have a system to make sure I get the products I need and never forget to submit my receipts for reimbursement. On Sunday afternoons, I sit down with the paper to make my grocery list. While flipping through the ads, I pay special attention to the Rite Aid and Walgreens ads. (If you don’t get the paper, ads for both stores can be found online at the store websites). If you’re interested in maximizing your rebates, please check out the rest of her post. I’m curious to see what you think. How often do you use rebates? Who has the best rebate programs?